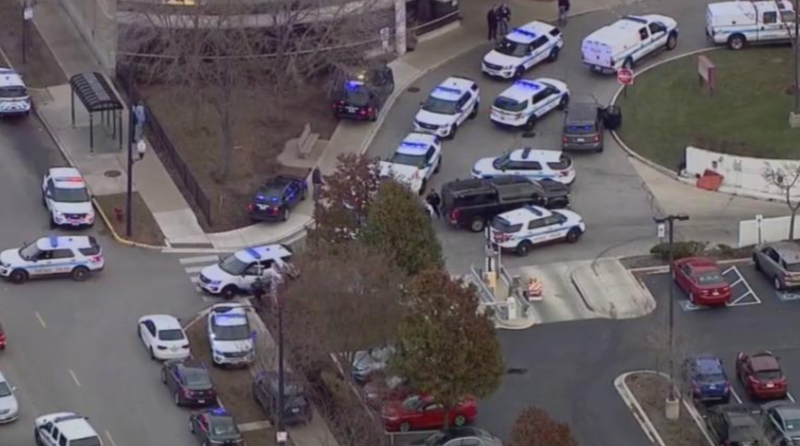 Now, news is rolling in from Mercy Hospital, situated in Chicago, where a shooting took place in the outpatient area, leaving at least four people dead, including the suspected shooter, and another two critically injured. Just like every single mass shooting that has taken place, witnesses have described the scene as pure chaos, like something from a scene in a scary movie. Witness James Gray has said that he saw a man and women walking towards the parking lot, when the man turned around and shot the women, identified as Dr. Tamara E. O’Neal, three times in the chest. After she fell, the man allegedly shot her three more times before returning back to the hospital. He continued his reign of terror there as well. Two police officers were shot at, and while one was lucky enough to walk away uninjured, the was killed. Reports say that the now-deceased gunman was the former fiancé of Dr. O’Neal, and while the exchange between them didn’t seem angry or heated, it turned deadly very quickly. Because of the chaos that erupted, an elementary school a few blocks from the hospital was also placed on lockdown. Are we, as a society in America, so concerned about the Second Amendment, that we are willing to lose thousands and thousands of lives EVERY. SINGLE. YEAR? And let’s face the facts: the number of deaths per year due to gun violence is on the rise. The fact that there seem to be more guns in the United States than there are people, is absolutely sickening. As the year draws to an end, one can only hope that more lives are not lost, and that tighter restrictions are put into place so that weapons are not, once again, put into the wrong set of hands. What is America’s Obsession With Guns All About?